Get ready to celebrate a weekend of  love  in Wilmington and the Brandywine Valley! Here are our picks for your weekend itinerary – and don’t forget to share your travel pictures using #VisitWilm on Instagram & Twitter! 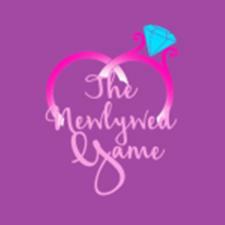 Join Bootless for The Newlywed Game. Four couples complete in our very own newlywed game in a style that only Bootless can do. But, it’s not all about the couples. After they determine which couple best knows each other, the host will go out into the audience for a few rounds of fun games and drinking to see how well you know yourself, your friends, and anyone and everyone else in the room! The Delaware Art Museum hosts the 11th annual Chinese New Year Celebration. The celebration includes traditional Chinese art activities, artist demonstrations, and a gallery scavenger hunt. Performances include a lion and folk dance and Chinese yo-yo performance by the Chinese American Community Center,and an additional special performance by the popular Chinese acrobat Yang Xiao Di. Delaware Shakespeare Festival brings a delightful mix of light-hearted Shakespeare readings, song and romance perfect for Valentine&apos;s Day on the Delaware Beer, Wine & Spirits Trail. The performance lasts about an hour. Tickets are $25. and include one drink. Celebrate Valentine’s Day with your loved ones at Hagley. This is a sweet family event with something for everyone. Guests taste gingerbread, make a Victorian valentine using the “scrap” method, write valentine verses with a quill pen, and design a candy bar wrapper. Activities are included in regular admission and free for members. 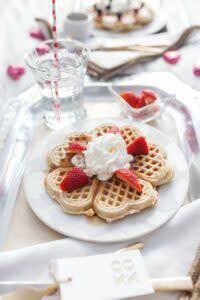 Grab your sweetie, your gals or the whole family and join Deerfield for a special Valentine’s Sunday Brunch… featuring over 111 feet of “brunchy goodness!” Our signature Sunday Brunch comes alive with Valentine’s themed drinks, entrees, and desserts! Have a dozen red roses delivered table side to make this Valentine’s Day Brunch even more dazzling for just $65.00. Roses must be ordered and paid for in advance, and cannot be ordered day-of.